Kormoran is developed by Thomas Schmidt and Holger Barske. 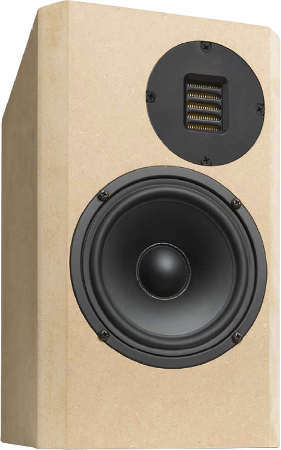 Kormoran is home to a Audiopur air motion transformer and a 14 cm mid-woofer Wavecor WF146WA02. "Units of cutting-edge technology. Very good and not expensive: That's the way a DIY kit should be. " The high-end kit comes with high-value ClarityCap MKP foil capacitors, type SA. The inductances are baked varnished coils for minimizing microphonic effects. - The current flow through the coil creates a magnetic field which sets the reel of wire in motion. This motion induces a voltage in the coil which adds itself to the signal. The stiffer the reel of wire is, the less the signal will be altered.